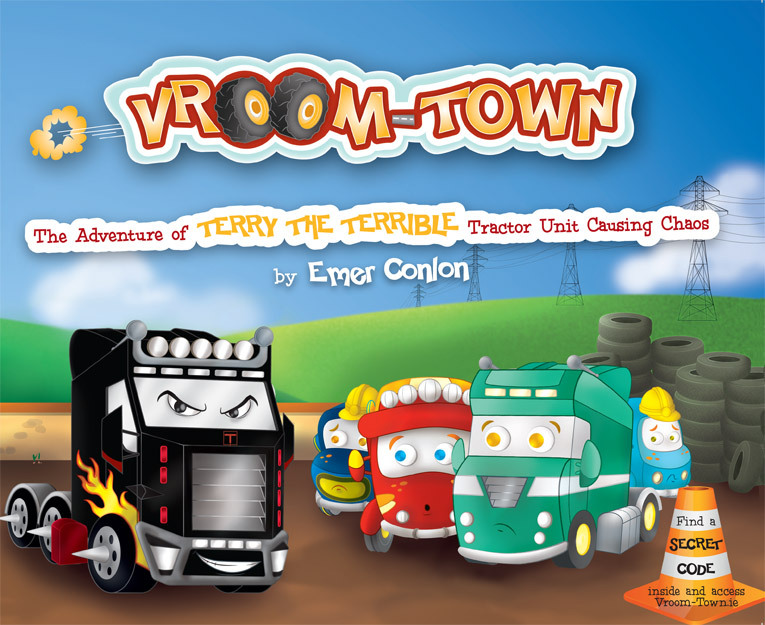 The Adventure of Terry the Terrible Tractor Unit Causing Chaos is the second book in the Vroom-Town series and introduces even more loveable residents. In this story, Terry the Terrible Tractor Unit woke everyone up with a Crash, Bang, Wallop! He wanted to cause as much chaos as possible today….. but will he feel remorse and change his mean ways…? Will Trevor ever get home safely? Will Bill Byrne realise just how terrible Terry is…? You will have to read to find out – here is a sneak preview!